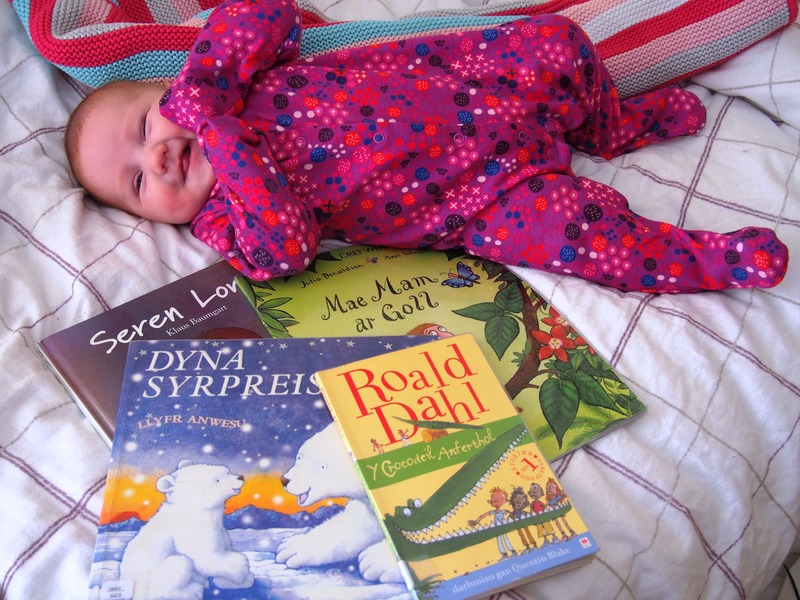 On Monday I took my nine week old daughter, Wren, on her first visit to the library. I’m really keen to instill in her a love of reading, so I’m starting her young! 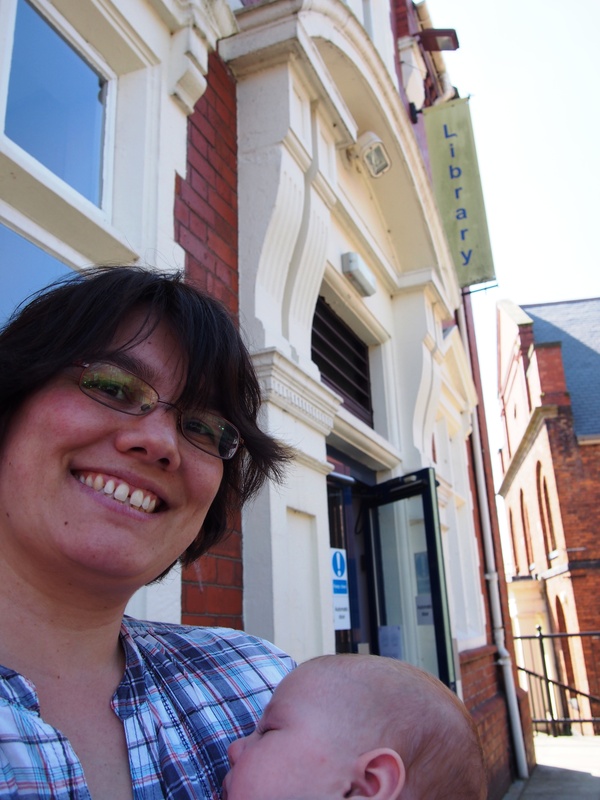 We went to the rhyme time session for under 5’s which is hosted free by the library every Monday. She ate and slept through the whole session but I’m hoping she may have absorbed some of it vicariously. I’m sure she will start to love it in a few months time when she’s more able to engage in what is going on. We took out her first set of library books, some Welsh language picture books for my husband to read to her, to help her learn Welsh, which she’ll have to study at school but which neither of us speak much of at all. 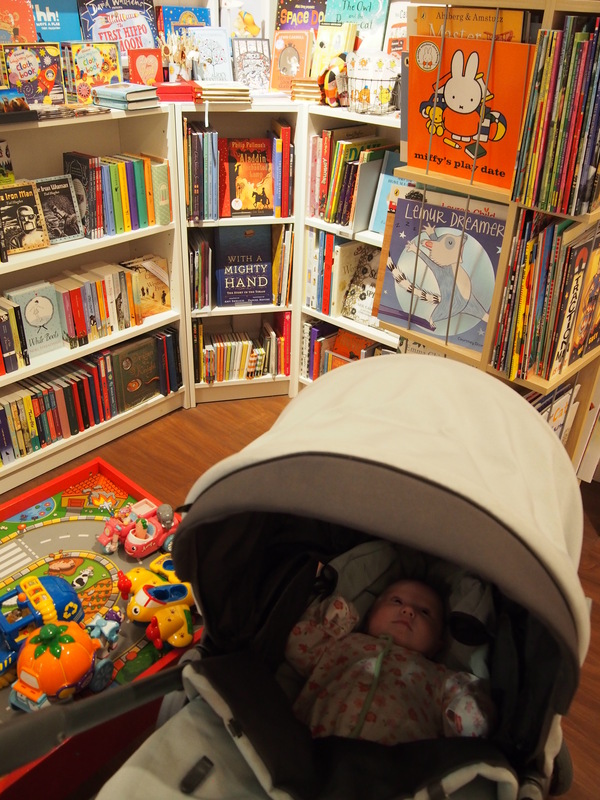 In addition she had her first visit to our wonderful local independent bookshop Booka to collect my World Book Night books. I loved this book! It’s so much harder to write a book review when you have really enjoyed a book because there is nothing to be critical of. 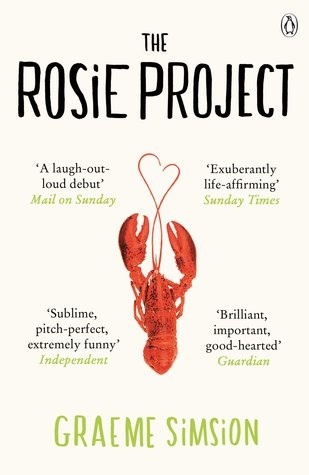 I had wanted to read ‘The Rosie Project’ for ages, since hearing it featured on Simon Mayo’s Radio 2 book club early last year. I was waiting for the paperback to come out and, as luck would have it, to coincide with the paperback release a couple of months ago, Graeme Simsion visited my local book shop (the wonderful Booka in Oswestry) on his UK tour. He was a brilliant speaker and really funny and I knew I was going to enjoy this book, so I waited until I was on holiday to read it so I could give it the attention it deserves. It’s great; warm, funny, sweet, empathetic. It’s a romance between a unique individual and a woman who he feels is totally unsuitable for him but with whom he loves spending time and it is a joy to read. It gives you warm fuzzy feelings and I was smiling throughout. It’s well plotted, well paced, with fully rounded characters and a satisfying conclusion. Simsion said that he wanted to write a book which followed the basic rules of a romcom film and he has succeeded beautifully. I cannot recommend this book highly enough!